March 24, 2014 Update Note: This commentary has been updated to include all available Old Testament books written by Dr. Utley! 10 Old Testament volumes were added, for a total of 23 total volumes. Minor errors were corrected in the New Testament. While teaching hermeneutics in an OMS seminary in Haiti, God spoke to Bob's heart about providing his Bible studies free to the world. He structured this verse by verse and passage by passage commentary to provide an in-depth resource for churches, pastors and lay people. Dr. Utley provides scholarly and even technical commentary without losing a non-scholarly audience. While Dr. Utley uses word studies to examine context and original language, no knowledge of Greek or Hebrew is expected from the reader. This commentary is designed to be understood by everyone! With over 70 megabytes of data (uncompressed) and 23 volumes of commentary, you're likely to find commentary on the verses important to you during your Bible study. However, Dr. Utley will not tell you what to believe. 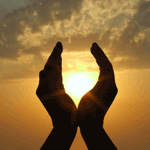 Dr. Utley writes, "you are responsible for your own interpretation of the Bible". That's because this commentary study guide provides you the background information, exegesis, word studies, and interpretation options (when applicable) for arriving at your own interpretation of passages. Most Chapter Comments contain Dr. Utley's Discussion Questions, aimed at helping you further your Bible Study. Many attempts have been made over the years to create modules from Dr. Utley's content. Most are rough copy and paste modules, resulting in a format not easy to use. This module is different because 1) We used the XML data provided by Dr. Utley's technical team and 2) We re-created the layout, line spacing, indentions, and paragraph formatting found in Dr. Utley's commercial text as sold elsewhere. Remember to check the Chapter Comments for Dr. Utley's Chapter Outlines and Discussion Questions. Bob Utley is a dynamic and inspirational Bible professor. He feels that the Lord has given him a gift of relating to all types of people, especially those who have been turned off by "religiosity." Bob was born in 1947 in Houston, Texas. He is married to the former Peggy Rutta and they have three children and six grandchildren. He has earned degrees from East Texas Baptist College, Southwestern Baptist Theological Seminary, and Trinity Evangelical Divinity School and has done post-graduate work at Baylor University, Wycliffe Bible Translators' Summer Institute of Linguistics, and Trinity Evangelical Divinity School. He has pastored several churches in Texas. Currently Bob conducts revivals and Bible conferences both in the United States and abroad. Dr. Utley believes the Great Commission (cf. Matt. 28:18-20; Luke 24:46-47; Acts 1:8) mandates both evangelism and discipleship. Bob has been involved in both of these for more than 35 years. He has participated in at least 35 international evangelistic crusades where thousands of people trusted Christ. Although these crusades were wonderful evangelistic experiences, a lack of follow-up materials for discipleship was evident to him. God's will is for disciples, not decisions only! He saw the absence of Bible studies resources in other countries that were affordable and of good quality. This was a burden on his heart and he was willing to help remedy this problem. Dr. Utley's resume and other credentials are available here. Dr. Utley's statement of faith explains his theological perspective. If you feel God leading you to help support Bible Lessons International, please visit this webpage to donate any amount you choose. All donations to Bible Lessons International are tax deductible. Thank you! Brent Hildebrand for ToolTip NT and the special features coded for this commentary. Costas Stergiou for his technical expertise and suggestions. Dr. Utley for giving us permission to publish this commercial resource for free! 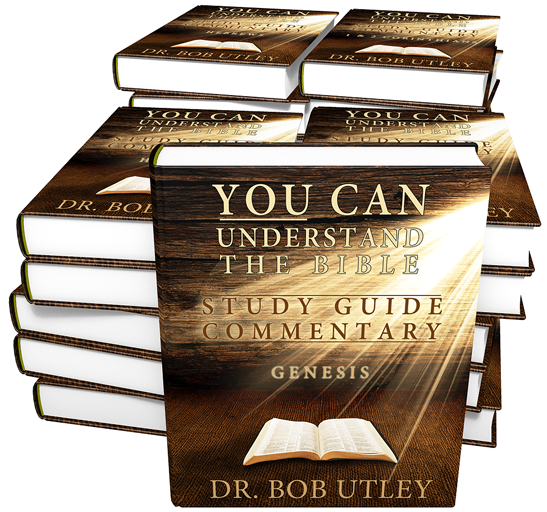 This commentary has been updated to include all available Old Testament books written by Dr. Utley! 10 Old Testament volumes were added, for a total of 23 total volumes. This is a very nice work ! The only way you could improve on it....is when you get the OT to add to it !! Yep, the OT will definately happen. Dr. Utley's technical team is transitioning away from WordPerfect. And they're centralizing their content in Microsoft's Expression Web, which can generate HTML/XML. Then from there, they can provide a starting point to e-Sword, theWord, BibleWorks, etc. It's a good plan, but it's taking man hours to re-typeset Dr. Utley's content. I'm looking forward to the complete set! This, the BBC, and Dr. Constable's work are three modern commentaries I like to consult when I have a question. Josh, I'm going through the Book of Romans with a friend overseas - this commentary is proving to be a real good study source, specifically because of the way it's laid out - outlines, charts, cross-references, etc. Very easy to understand and grasp what the scripture is saying.. Thanks for all the hard work. Thank you Josh for your continued work. You continue to create outstanding modules. Thank you much. Sorry for being slow in sharing my thoughts about this commentary. However considering you have updated this work I no no longer Have an excuse. Firstly, please let me thank you for creating such a work for e-Sword. When I first downloaded this commentary I didn't realize the incredible amount of information and help it contained, and I was just gob smacked at how much help it had. Secondly, I found this commentary very helpful as a part of my exegetical study of Ephesians. Quite often, in conjunction with other Commentaries, I referred to it quite regularly. It, along with those other commentaries, I have to admit it proved it worth, and I'm glad that I've downloaded it. I think I can say this with all confidence: I believe that when it comes to works like Utley's, has made has really lifted the status of e-Sword to being a very important Bible study tool, and I think that we are really privileged and blessed to have resources such as this. As to why we would spend much of our spare time in the creation of these kinds of resources (and other kinds of tools) for no financial gain only shows me the commitment and dedication to the furtherance of Kingdom of God. I really am thankful, and I get somewhat emotional whenever I think of the man hours spent over the work that goes into producing resources of such a high standard and quality as this one. I praise God for you dudes (and dudesses) who willingly give up your time in doing all this work. I've always believed, and said about e-Sword, that this is a something that has God's hand on it. I also believe it about you, of God's calling on your life in this type of service and ministry you have done. I'm a little slow on the draw as well ! I've been waiting on this for about a year....in fact a little over a year. Thank You seems like so little to say....but I indeed do Thank You....and I'm sure I've got a pretty good sized group standing with me....saying the same thing ! And may I add that I'm sure there's a very large group that "Echos" APsit190's words as well !!!! Thanks for including the HD/LT module. I loaded it onto my IPod Touch even before I loaded the regular module into e-Sword on my PC. We need this module in spanish, please.